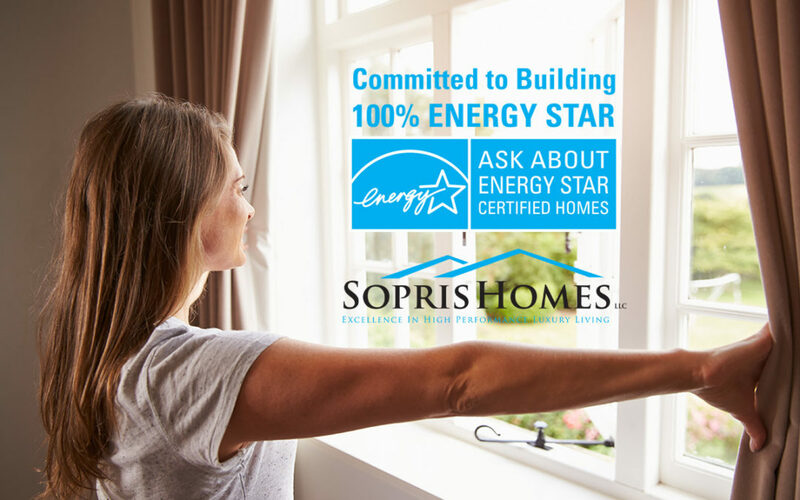 Sopris Homes is pleased to officially announce our 100% commitment to ENERGY STAR in 2019. All of the homes that we will build earn the U.S. Environmental Protection Agency (EPA’s) ENERGY STAR certification. In fact, Sopris Homes is currently one of only three 100% Energy Star Builders in the Boulder area (the other two being large production builders). ENERGY STAR certified homes are at least 10% more energy efficient than homes built to code and achieve a 20% improvement on average, while providing homeowners with better quality, performance, and comfort. By making this commitment, we have earned this special EPA recognition. We see this 100% ENERGY STAR commitment as a true mark of leadership among elite American home builders. It’s also reinforces our commitment to excellence and green building we have had for more than 25 years not to mention lower utility bills and greater home comfort for our clients and protecting our environment. • A Complete Thermal Enclosure System — Comprehensive air sealing, properly installed insulation, and high-performance windows work together to enhance comfort, improve durability, reduce maintenance costs, and lower monthly utility bills. • A Complete Heating and Cooling System — High-efficiency systems that are engineered and installed to deliver more comfort, better moisture control, improved indoor air quality, and quieter operation. • A Complete Water Management System — A comprehensive package of best building practices and materials protects roofs, walls and foundations from water damage, provides added protection, and reduces the risk of indoor air quality problems. • Energy-Efficient Lighting and Appliances — ENERGY STAR qualified lighting, appliances, and fans are commonly installed throughout ENERGY STAR certified homes, helping to reduce monthly utility bills, while providing high-quality performance. John Stevens, President (303) 527-0000.